We Want You To Meet Dan! Dan and Jesse were best friends. He is a Perkins graduate and now, he is also a college student. Dan is studying to be an accountant. Congratulations Dad! We can't wait to hear about your college success. 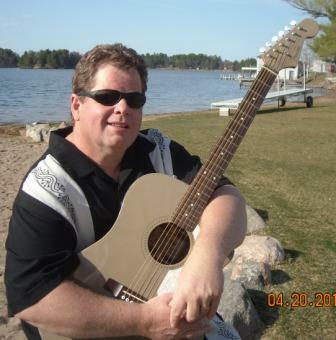 Alan Pederson has been performing for more than 25 years. An accomplished singer and award winning songwriter, he spent several years writing and recording music in Nashville, Tennessee. Alan has had several songs recorded by other artists. High Hopes Foundation of New Hampshire, Inc. The High Hopes Foundation of New Hampshire, Inc. is dedicated to granting the wishes of New Hampshire’s severely and chronically ill children between the ages of 3 and 18. Read Jesse’s Story on the High Hopes Foundation of New Hampshire website. Perkins School for the Blind provides education and services for children and adults around the world who are blind, deafblind or visually impaired. The Angels Across the USA Tour is a yearlong series of concert events featuring the music and message of Alan Pedersen. The purpose of this tour is to bring community awareness and media attention to grief organizations large and small who reach out to bereaved families.